As the Dallas Cowboys look to build on a solid 2018 campaign, they will need to use resources wisely to put the team into Super Bowl contention next season. 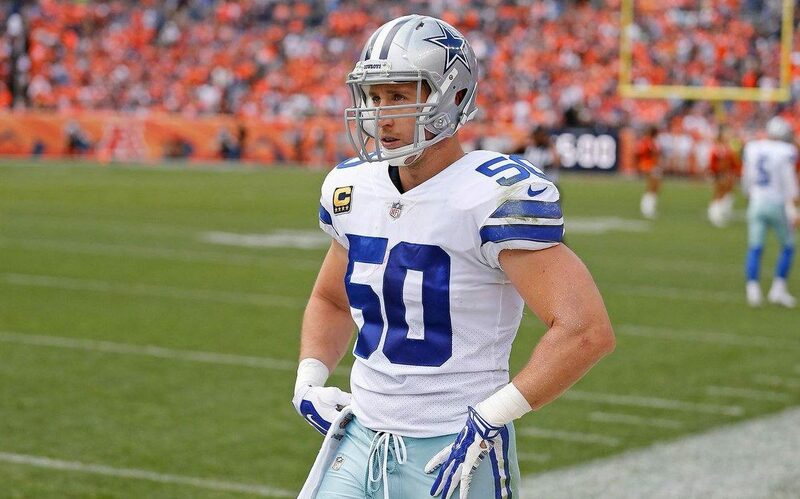 With some big contracts coming down the line and areas of the roster that need improvement, could veteran Linebacker Sean Lee wind up being released for salary cap space? It's been a rough couple of years for Sean. He missed five games in 2017 and the defense floundered in his absence. Some have even proposed that Dallas could have made the playoffs that year if Lee had just been available for a couple of narrow losses. The Cowboys made sure that another season of Sean Lee's injury problems wouldn't derail them, spending their 2018 first-round pick on Leighton Vander Esch. The pick proved brilliant as Lee missed nine games last year and Vander Esch emerged as one of the top linebackers in the NFL, and will be playing later today in the Pro Bowl. With Vander Esch and Jaylon Smith looking like one of the next great duos at linebacker, Lee's value to the team has lessened considerably. While he could still contribute both on the field and in mentoring the young players, his $10 million salary cap hit is far too much to carry for a roleplayer. If Sean is released this offseason, Dallas will get back $7 million in cap space. It's worth nothing that the Cowboys have plenty of cap space in 2019, currently projected at around $50 million. But it will get eaten up quickly if they re-sign DeMarcus Lawrence and work out a contract extension for Dak Prescott. If the team wants to make some upgrades at other spots, such as at defensive tackle or safety, then they will need to reallocate funds. Given his recent injury issues and diminished role, and especially the $7 million saved, Sean Lee is the easiest and most likely cap casualty on the roster. Turning 33 this summer, Lee may have a hard time finding a larger role with another team if he hits free agency. Knowing that, perhaps Sean would agree to a pay cut if it meant staying in Dallas. Then again, this could all be a moot point if Lee decided to retire. As of just a few weeks ago, it was reported that the veteran was contemplating ending his playing career. Sean Lee said he's going to talk with his family before deciding if he wants to return. If Sean does retire then the salary cap impact would be the same as if he were released. Dallas would still get the $7 million back and carry the remaining $3 million as dead money. But if Lee decides he'd like to play another year then there's almost no chance it will be on his current contract. The Cowboys will either release him or they will work out a salary reduction. At best, Dallas could offer Sean a role as the third linebacker in their base defense. He might also rotate in the nickel with Smith and Vander Esch, but he would still be a part-time player making All-Pro money. It just doesn't make good fiscal sense. But that scenario is less likely than others. There is a strong possibility that Lee will retire, and if he doesn't then the Cowboys will probably release him before the start of free agency. We'll be breaking down more players with problematic contracts in the weeks ahead. None have meant more to this team than Sean Lee, but that doesn't stop him from being the most likely cap casualty of 2019.